Planet LA and partners are pleased to support Horseshoe Casino (Caesars Entertainment) for a showcase and screening on March 13, 2013 from Noon to 6pm during SX2013 in Austin, Texas! 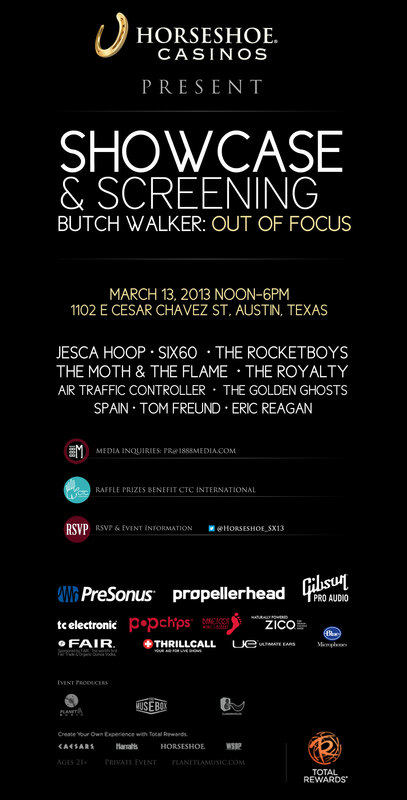 Featuring iconic singer and producer Butch Walker screening “Out of Focus” and leading bands and artists including Jesca Hoop, The Rocketboys, SIX60, The Moth & The Flame, The Royalty and much more! Private event. Email: Contact@PlanetLAMusic.com for more details.